This past August, former papal nuncio Archbishop Carlo Maria Viganò released a revelatory letter that detailed how Pope Francis was well aware of ex-Cardinal McCarrick’s heinous clerical abuse. This scathing letter divulged that Pope Francis not only lifted sanctions placed on the sexual predator by Pope Benedict XVI, but also covered for him, even making McCarrick his “trusted counsellor.” While many have discredited the 11-page epistle merely as a far-right tactic to oppose the Jesuit Pope, this report is undoubtedly concerning, especially since the Vatican has remained silent and neither denied nor addressed these claims. This has left many demanding further responses from the pontiff, who has instead deferred to “silence and prayer” during these most tumultuous times. However, despite the potential danger, many prelates have courageously defended Viganò’s claims. 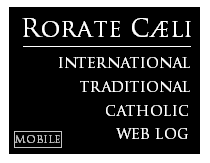 For example, Cardinal Raymond Burke said that, “the declarations made by a prelate of the authority of Archbishop Carlo Maria Viganò must be totally taken to heart by those responsible in the Church.” Burke continued in speaking to the validity of calls for the Pope’s resignation if these allegations are proven true. Similarly, Monsignor Jean-Francois Lantheaume and also spoke to the veracity of these claims and questioned Francis’ taciturnity in the wake of these searing allegations, equating his silence to cover-up. In addition, Viganò recently broke his silence and doubled down on his original letter, stating that his testimony was published “during a crescendo of continual news of terrible events, with thousands of innocent victims destroyed and the vocations and lives of young priests and religious disturbed," and asserts before God that it is true. 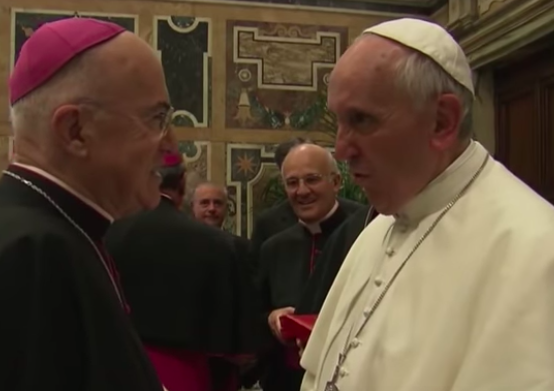 Viganò, who has reportedly activated the death switch, pointed to the fact that neither the Pope nor any Cardinal in Rome denied his testimony, and accused Pope Francis of slander and hypocrisy. Others, like Cardinal Blaise Cupich of Chicago, rejected the letter and came to the defense of the Holy Father. In an interview in September, Cupich egregiously suggested that the Church should not go down a “rabbit hole” on the issue of sexual harassment, and ought to instead focus on ostensibly more important issues such as the “environment” and “protecting migrants”. The disgraced Cardinal, a known advocate for the heterodox pro-LGBT agenda, is currently in the midst of a crisis of his own, as he recently removed a priest from his archdiocese who burned a 'pride' flag (let us not forget that Pride is the deadliest sin). This priest, Father Kalchik, was the victim of clerical abuse when he was a teenager, and has since been forced into hiding “out of fear that Cardinal Cupich would take him away by force,” which is what he told the independent Catholic news agency Church Militant in a recent interview. Cupich echoed the Pope’s sentiments that this crisis has little to do with homosexuality and is instead the product of “clericalism,” and was also named in Viganò’s letter as one who is directly involved in the despicable cover-up of the Catholic Church’s homosexual corruption. Similarly, Cardinal Donald Wuerl, the Archbishop of Washington DC, has repeatedly denied that he had any knowledge of the years of sexual misconduct complaints involving McCarrick, his predecessor. However, new revelations from the Washington Post have emerged that may dispute his claim, as Wuerl was among those named in a 2005 abuse settlement agreement that included allegations of McCarrick’s harassment. Father Patrick Ciolek was one of the many seminarians abused by McCarrick and stated that it is “inconceivable” that the diocese would have failed to notify Wuerl, who at the time was the Bishop of Pittsburgh, where Ciolek was located. In his original letter, Viganò denied Wuerl’s ignorance, and said that as McCarrick’s successor, he would have been “the first to have been informed” of the harassment. Now, calls for Wuerl’s resignation are stronger than ever, as the episcopate swamped in controversy has been to the Vatican since the allegations surfaced. Likewise, other prelates in the United States were also mentioned by Viganò, including Cardinal O’Malley of Boston and Cardinal Tobin of Newark, which is the impetus behind many calls by theologians and lay leaders alike for the U.S. bishops to follow their Chilean brethren and resign en masse. It is necessary for the Church to be purged of its clergy here in the United States, and as one letter stated, "Only then might the wrenching work of healing begin.” For the Catholic Church to rise from the ashes of its worst scandal in modern times, a mass resignation must occur immediately. And only then should Pope Francis follow suit. 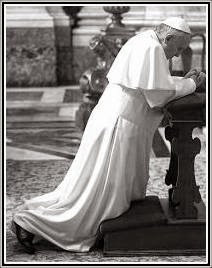 The Pope’s approval rating is plummeting, and the longer he remains silent, the more the world continues to wonder and is driven to believe the validity of the brave testimony by Viganò. Yes, this would be unprecedented, but so are these accusations, and the only true way for us to feel at peace with the leadership of the Holy See is if everyone involved in these crimes are exorcized. In order to combat this issue, we must not be complicit. Laymen are encouraged to withhold any donations to the USCCB until the Bishops take responsibility for their misdoings, lest we continue to allow them to lead souls to Hell. In addition, at the USCCB’s annual meeting--which will be held from November 12-15 in Baltimore, Maryland--demonstrators will be organizing the Silence Stops Now campaign to demand the end of this deafening silence, the resignation of those involved in the cover up in any way, as well as an investigation and a prosecution of any criminal activity. In these trying times within the only Church that traces itself back to Jesus Christ, and the oldest institution in the history of the world, we must be vigilant, and not succumb to the hypocrisy of those in power. We thank Viganò for his bravery in releasing these truths and pray for his safety and for the healing of the Only Holy and Apostolic Church. Still, we remain faithful and optimistic because, in the prescient words of Hilaire Belloc, "The Catholic Church is an institution I am bound to hold divine — but for unbelievers a proof of its divinity might be found in the fact that no merely human institution conducted with such knavish imbecility would have lasted a fortnight."